Part of my duties as Head of Archaeology (Al Dhafra & Abu Dhabi) in the Historic Environment Department at the Department of Culture and Tourism (DCT) is to curate fossil material collected from Late Miocene fossil sites from Al Dhafra, the western region of Abu Dhabi. These fossils date to between 6-8 million years ago. This includes fossil specimens collected by the joint Natural History Museum and Yale University expedition of the late 1980’s to 1990’s, material collected by the Abu Dhabi Islands Archaeological Survey (ADIAS) between 1992-2006, and more recent material collected by a team from Yale University, Berlin Natural History Museum and Western University of Health Sciences, together with the Historic Environment Department at the former Abu Dhabi Authority for Culture and Heritage (ADACH) from 2006-2011, and with the former Abu Dhabi Tourism and Culture Authority (TCA Abu Dhabi) from 2011-2018. Bibi, F., A. Hill and M. Beech. 2017. 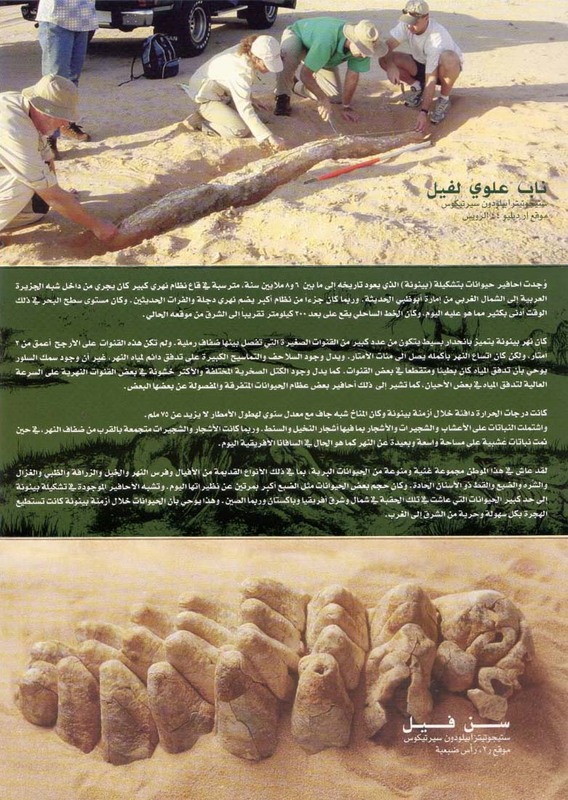 A Thousand and One Fossils – Discoveries in the Desert at Al Gharbia. Yale University Publications in Anthropology & Abu Dhabi Tourism and Culture Authority. ISBN: 9781933789071. Abu Dhabi Islands Archaeological Survey (ADIAS). 2005. Abu Dhabi 8 Million Years Ago – Fossils from the Western Region. 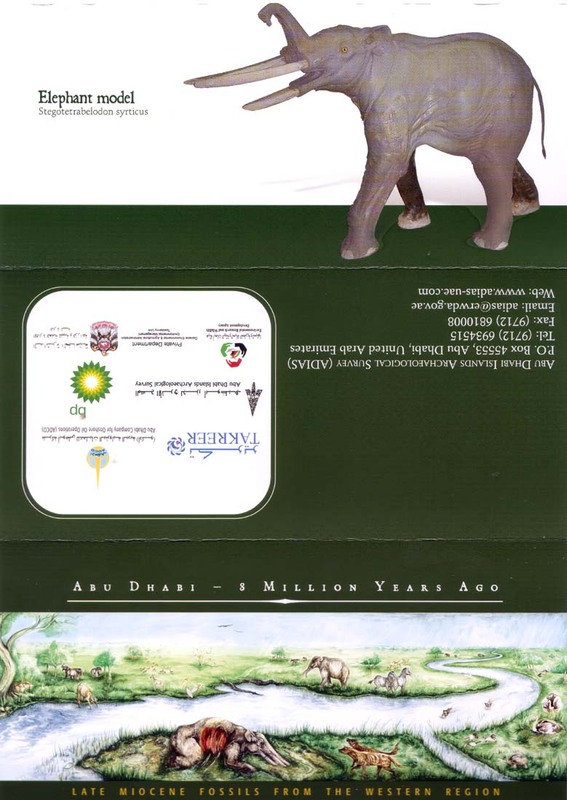 DVD – available in both Arabic and English, featuring: (1) Fossils from Western Abu Dhabi – The Animals of 8 Million Years Ago (4 mins, 12 secs). Presentation produced and directed by Will Higgs and Dr Mark Beech (ADIAS) – 2005. (2) Hot Fossils from Abu Dhabi (5 mins, 27 secs) – Presenter: David Attenborough. Film produced and directed by Dave Holmes RKD Productions Ltd., London – 1991. Arabic version produced by Dr Mark Beech (ADIAS) – 2005. (3) Abu Dhabi – the Missing Link (28 mins, 47 secs). Film produced and directed by Brooke Film Productions for the Abu Dhabi Company for Onshore Oil Operations (ADCO) – 1991. This research project is principally concerned with the analysis of the stone tool assemblage from Jebel Barakah, located in Al Gharbia, the western region of Abu Dhabi. The characteristic use of Levallois technology and the presence of a Mousterian point suggests that the lithics assemblage dates to somewhere between 30,000 to 200,000 years ago. A joint paper was presented at the Seminar for Arabian Studies held at the British Museum in July 2007, which was published in Volume 38 of the Proceedings in July 2008. Further field investigations were carried out in January 2008. These were presented at the National Center for Documentation and Research 40th Anniversary conference, New Perspectives on Recording UAE History, being published in the ensuing monograph, as well as in a chapter of book published by Springer Academic Publishers, edited by Mike Petraglia and Jeff Rose. This research project is concerned with examining the character of the desert neolithic at the north-eastern edge of the Rub al-Khali or Empty Quarter. Recent survey and excavations in the south-east deserts of Abu Dhabi have uncovered a range of remarkable sites at Kharimat Khor Al Manahil and Khor Al Manahil. 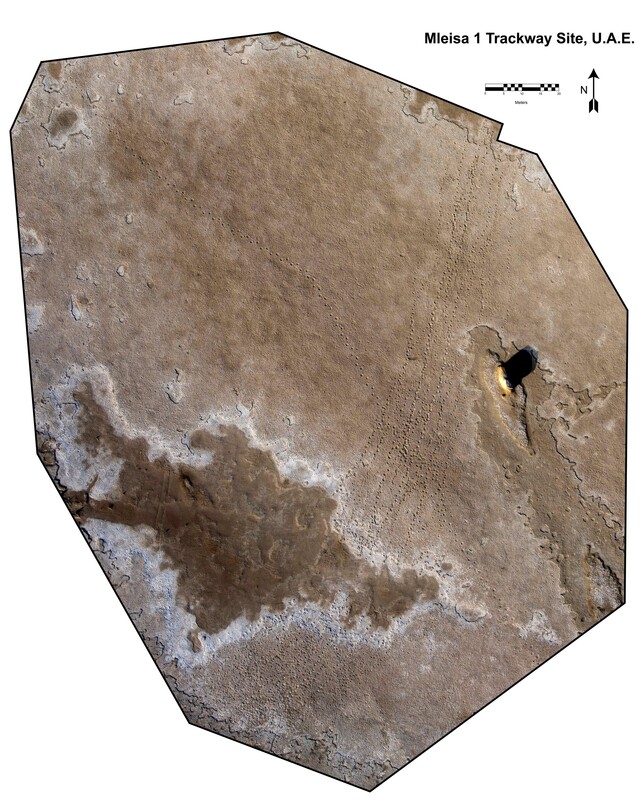 Lithic scatters extending continuously for more than three kilometres within the desert interior are currently being studied. These provide a detailed insight into the environment of the Rub al-Khali during the so-called Climatic Optimum phase between about 9000 to 6000 years BP. The climate at that time was much more favourable than at the present time. There was considerably more rainfall as well as increased vegetation cover which allowed neolithic peoples to graze their animals and settle in an area which today is considered to be inhospitable desert. Beech, M. 2007. The Late Stone Age of South-Eastern Arabia: New Results from Excavations on Marawah Island and Umm az-Zamul, Abu Dhabi emirate, UAE. In: J. and J. Orchard (Eds. 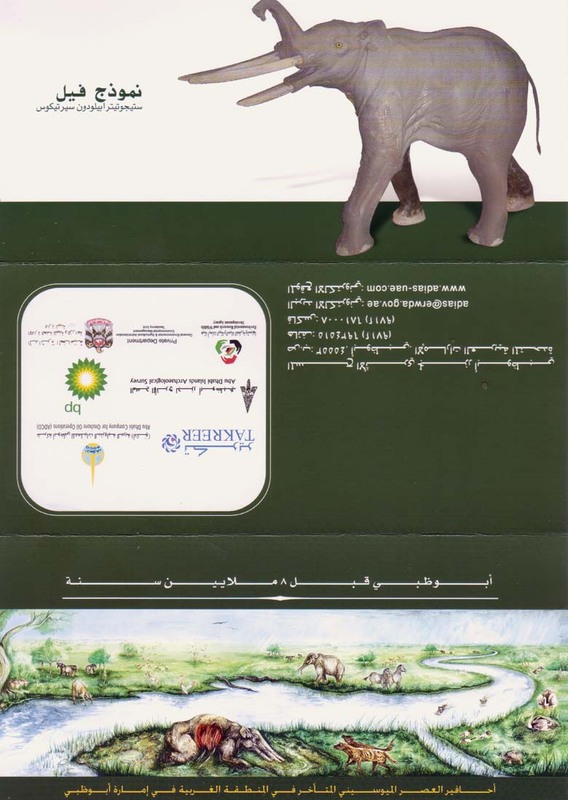 ), Proceedings of the International Symposium – Archaeology of the Arabian Peninsula Through the Ages 7th-9th May 2006. Monograph No.134. Ministry of Heritage and Culture, Muscat, Sultanate of Oman. pp.110-141. Kallweit, H. 2006. A new type of tool from Umm az-Zamul Neolithic sites. Tribulus (Journal of the Emirates Natural History Group) 16.1: 14-15. My research is presently focussed on understanding the environment and economy of the coastal communities of the Arabian Gulf, with a particular emphasis on the Neolithic (‘Ubaid) communities of the 6th – 5th millennium BC in the upper and lower Arabian Gulf. Work is currently underway, together with Liz Popescu from Oxford Archaeology, on the publication of the 1993-4, 1998 and 2014-2015 excavations of the ‘Ubaid settlement on Delma island, western Abu Dhabi region, United Arab Emirates. I am currently directing new excavations at the ‘Ubaid settlement on Delma Island. Excavations began again in May 2014, and continued in September 2014, and in April 2015. 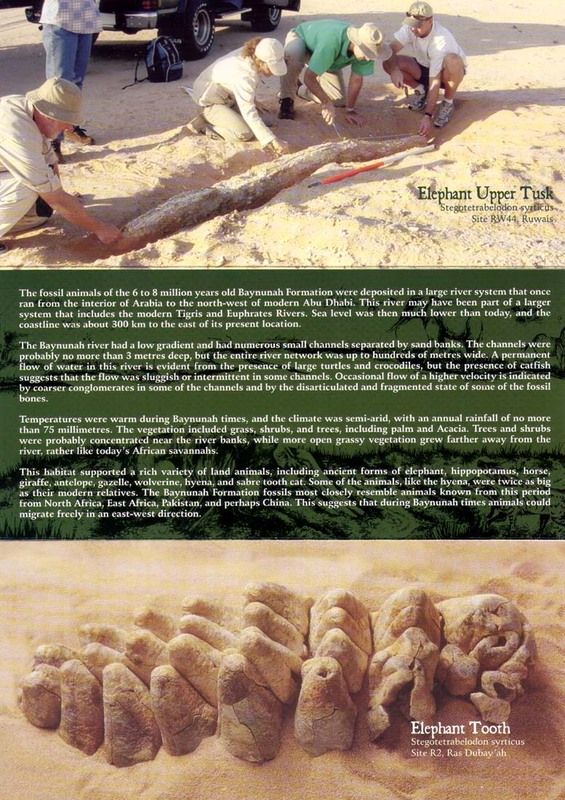 I was a team member of the British Archaeological Expedition to Kuwait which carried out the excavation of an Ubaid related site at the north end of Kuwait bay in order to study contacts between the Gulf and Mesopotamia in the 5th millennium BC (collaborators: Dr. Harriet Crawford and Dr. Robert Carter, Institute of Archaeology (UCL), London). I spent two months in the field at site H3 in Kuwait between mid-January to mid-March 2001, and a further two month field season from February-March 2002. A monograph concerning the results of the excavations was published in 2010. This includes a detailed chapter on the animal and fish bones from the site (Beech 2010). In December 2002 to January 2003 I collaborated with Dr. Heiko Kallweit (formerly of University of Freiburg, Germany) in the investigation of a 5th millennium BC Arabian Neolithic lithic site at the Abu Dhabi Airport Golf Club. The results of this work were presented at the Seminar for Arabian Studies in 2003 (Beech, Kallweit and Hellyer, 2004). 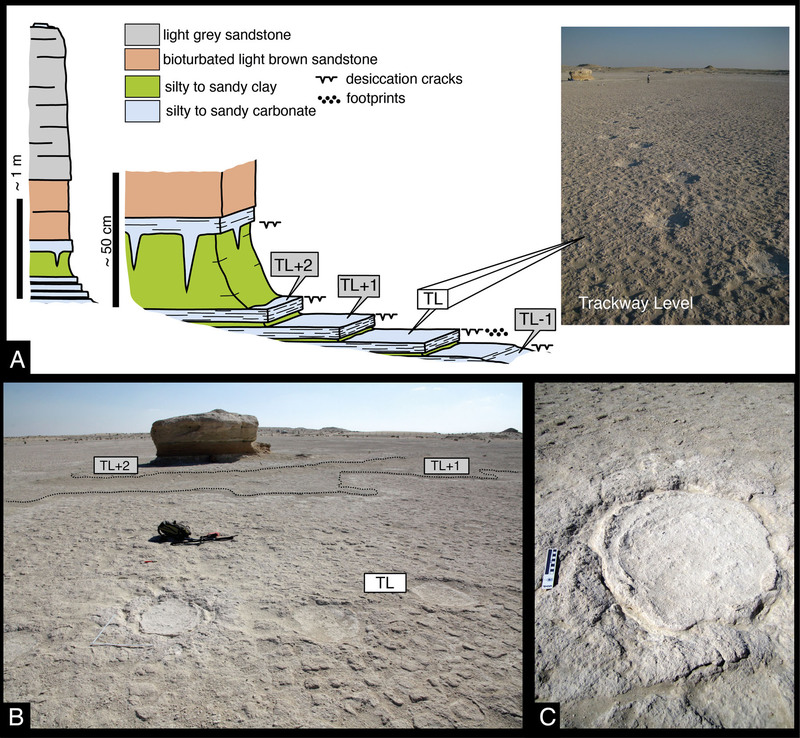 I am currently director of the excavations at site MR11 on Marawah Island in Abu Dhabi emirate, one of the most important neolithic settlement sites so far discovered in south-east Arabia (Beech et al. 2005). Radiocarbon dating suggests that it was established around 5800 cal BC, making it the oldest radiometrically dated archaeological settlement site so far discovered in the United Arab Emirates. Occupation at the site appears to last for at least 1000 years. Excavations in March 2004 uncovered traces of substantial stone buildings with walls standing to almost a metre in height. Important finds from the site included an almost complete pottery jar associated with a human male burial, the earliest known inhabitant of the UAE. This interesting ceramic vessel appears to belong to the earliest Ubaid tradition, providing some of our earliest evidence linking SE Arabia with Mesopotamia. A publication concerning the technical analysis of this pot has already been published (Méry, Blackman, Beech & Lidour 2016). Other important finds included fragments of painted plaster vessels, shell beads, bone tools and a wealth of environmental data. This included charcoal, marine shells, mammal and fish bones. A paper on the March 2004 season is already published (Beech et al. 2005). Analysis of the human skeletal remains from the site is currently underway in collaboration with Dr Kath McSweeney (Department of Archaeology, University of Edinburgh, U.K.). A season of geophysical investigations on Marawah Island at both MR1 and MR11 sites has been carried out (October 2014), followed by the renewal of excavations at site MR11 (in February 2015, February and October 2016, October 2017, and February-March 2018). I am currently collaborating with Vincent Charpentier on the publication of site MR1 on Marawah Island. The site is an important neolithic settlement which is contemporary with the site of MR11. A publication with an extensive catalogue of the lithics assemblage from the site is currently being prepared. I have also completed the post-excavation analysis of the fish bones from an important coastal Ubaid site discovered in the emirate of Umm al-Qaiwain in the United Arab Emirates. This is the site of UAQ2 (2011-2015 seasons), excavated by Dr Sophie Mery, Dr Phillip Maquis and Vincent Charpentier of the French Archaeological Mission to the United Arab Emirates. Study of the fish bones was carried out together with Dr Lisa Yeomans (University of Copenhagen, Denmark). A primary focus of my research has been to investigate the modelling of ancient fishing practices in the Arabian Gulf and Gulf of Oman region. This has been done by adopting a multidisciplinary approach incorporating the study of modern fisheries data, faunal assemblages from archaeological sites, and archaeological evidence for prehistoric and historic fishing equipment. In order to identify fish bones retrieved from archaeological sites in the Arabian Gulf region I made an osteological comparative collection of modern Arabian Gulf fishes. This enabled the detailed comparison of archaeological material with modern comparative specimens. I am currently working with Lisa Yeomans and Hannah Russ to produce an Osteological Atlas for the Identification of Fish bones from the western Indian Ocean region. This is a photographic atlas illustrating the key anatomical elements of all major fish species found within the region. This atlas is created using our combined osteological reference collections. (a). To study the fisheries biology of four species of sea catfish inhabiting Kuwait’s waters using annuli in otoliths, and to study sea catfish otoliths retrieved from the archaeological excavation site in Sabyiah. (b). To compare data on modern otoliths with that on the excavated otoliths to determine species and sizes of fish caught, fishing seasons, and past patterns of human occupation in the Sabyiah region. (c). To use stable isotopes of oxygen in otoliths to estimate the history of temperature regime of the area and to estimate the timing when fishing occurred in the past. In collaboration with Dr Peter Hogarth from the Department of Biology at the University of York a comparative collection of modern crabs from the coastline of the United Arab Emirates was prepared. This was to assist with the our work on the identification of archaeological crab material from the region. During Phase 1 (spring 2000) we surveyed the coastline of Abu Dhabi emirate from the Sila peninsula in the western region up to Abu Dhabi island. During Phase 2 (April 2002) we surveyed the remainder of the UAE coastline, from Abu Dhabi up to Ras al-Khaimah, as well as the eastern coast. Beech, M.J. 2004. The Fish Fauna of Abu Dhabi Emirate. Pages 153-183, in: Marine Atlas of Abu Dhabi. Emirates Heritage Club. Milan, Italy: Centro Poligrafico Milano SpA. ISBN 1-904566-40-5. I have an ongoing interest in Geographic Information Systems (GIS) and the use of computers in archaeology. This ranges from questions relating to the archiving of archaeological datasets, sites and monuments archives, GIS cartography and applications, to the development of web-based presentations and tutorials for enhanced learning. I was responsible for pulling together and organising the digital archives of the Abu Dhabi Islands Archaeological Survey (ADIAS) – which included databases, reports and survey data from the 15 year duration of the project (1992-2006), as well as for the design and former maintenance of the ADIAS website. Since 2002 I have been the prime developer of the database of all cultural heritage sites in the emirate of Abu Dhabi. This Geodatabase now contains over 3,000 records of palaeontological sites, archaeological sites, historic buildings, modern heritage conservation sites, and community facilities. The geodatabase is shared with the Abu Dhabi Spatial Data Infrastructure via the Abu Dhabi Geospatial Portal. Our department currently uses ESRI ArcGIS 10.6 for the Department of Culture and Tourism (DCT) GIS system. I am currently a key part of the DCT team helping to develop the new Abu Dhabi Historic Environment Record (ADHER) system. Maitha S. Ahmed Al Mazrouei (Acting 3D and GIS Unit Head, IT Department, Department of Culture and Tourism (DCT), Abu Dhabi, UAE). Manal Abdul Hameed Al Hosani (GIS Developer, IT Department, Department of Culture and Tourism (DCT), Abu Dhabi, UAE). Muna Nasser Sulaiman Al Ameri (Acting Internet Services & Innovation Section Manager, IT Department, Department of Culture and Tourism (DCT), Abu Dhabi, UAE). Mohamed Abdelbaset Abdelmonem Mahmoud (Consultant, IT Department, Department of Culture and Tourism (DCT), Abu Dhabi, UAE).